To my American brethren, it is important to know that the Montreal-style bagel is likely unlike anything you have every seen. For starters, the bagels are pre-boiled in honey water, giving them a hint of sweetness not found in other bagels. 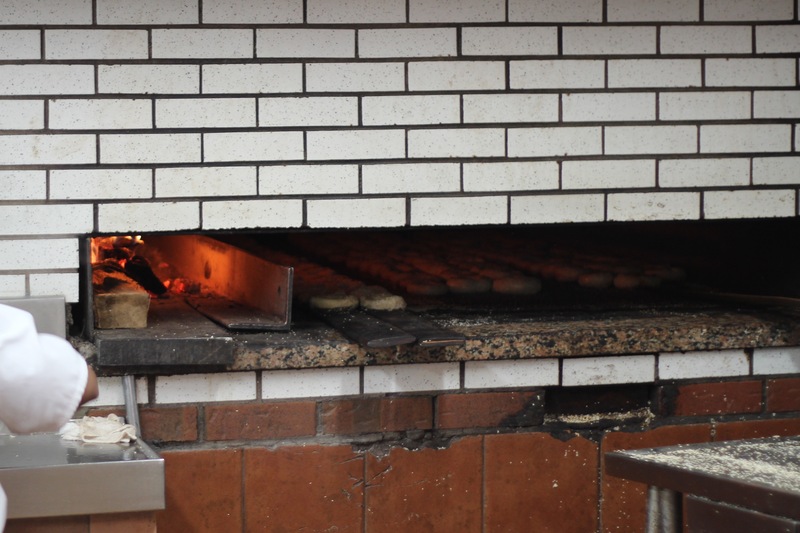 Then they are baked in wood-fired ovens. Yet, perhaps the most obvious things to note are that the hole is big, the dough is dense and the flavor (sesame, garlic, whatever) is all around the entire bagel instead of being relegated to one side. As for my flavor, I went with the All-Dressed (Canadian for Everything) and regular cream cheese. It was a thing of beauty, being topped with onion, garlic, caraway seeds, sesame seeds, poppy seeds and salt. I really couldn’t eat if fast enough because it was just that good. Each flavor popped and the bagel itself tasted unquestionably different than your typical American bagel. But not just different — better. 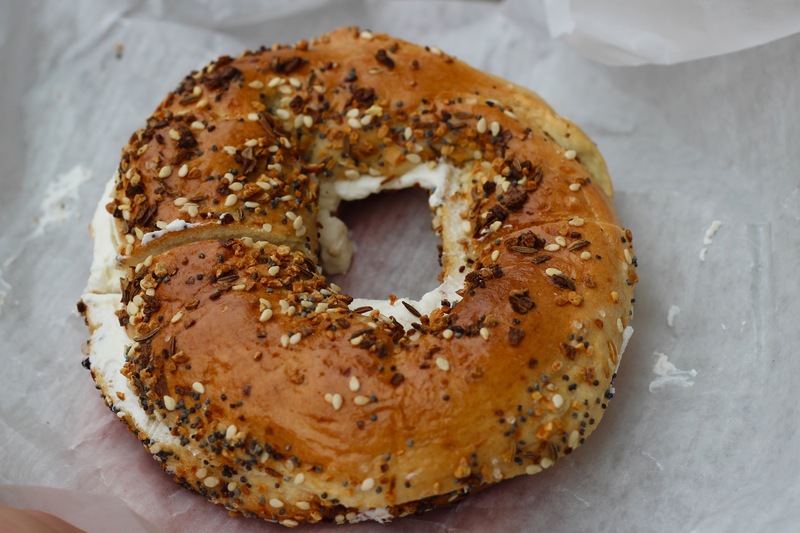 That’s right, I like the Montreal-style bagel better than New York bagels and I’m not afraid to admit it. If you haven’t had one yet you will understand when you do.